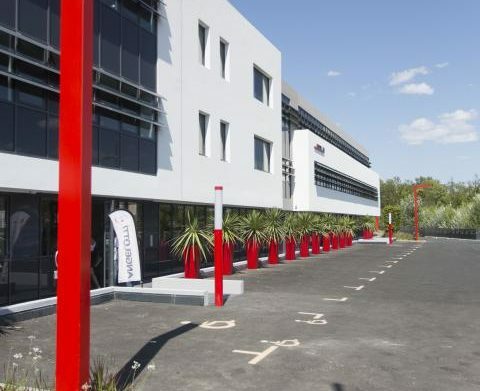 Share the post "Le Red Line"
The Angelotti Group entrusted the teams at Sequabat with the construction of its new headquarters in Castelnau le Nez. The Angelotti Group is a property developer. The firm wanted to dispose of new premises to get close to its favourite market, Montpellier. Sequabat carried out the construction of an ideally placed building close to a roundabout on a busy road. The architectural shape of the construction and the quality of the interior fittings reflect the quality of the services supplied by the firm.